Delicate gold plated pendant necklace. 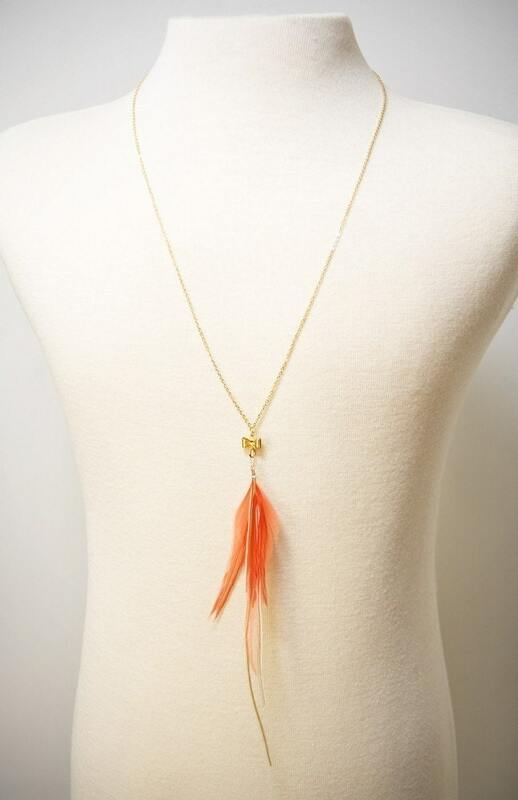 • Quality feathers (bright coral or neutrals). 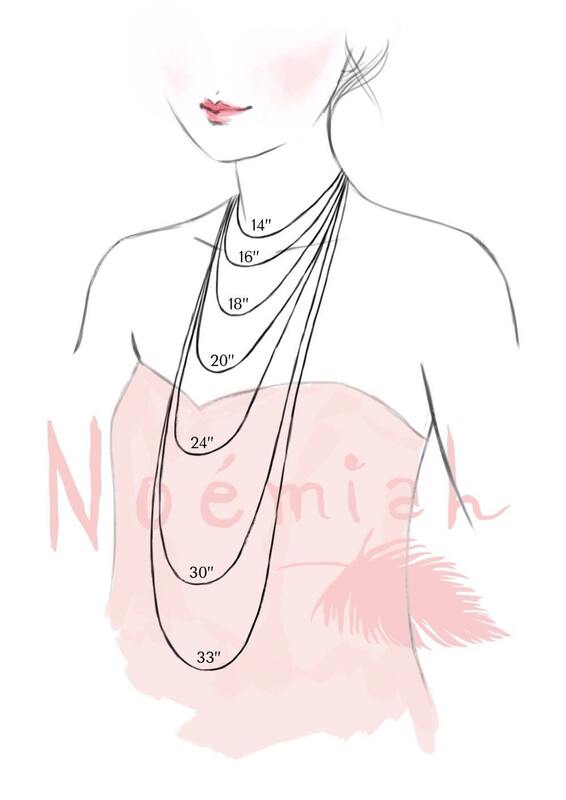 Length : 28” all around (no clasp). Very pretty and light. Excelent shipping time to Europe and very nice packaging. Recommended. Such a pretty necklace, was a great gift! Merci Noémie. So proud to own such a beautiful and delicate piece, I adore it!